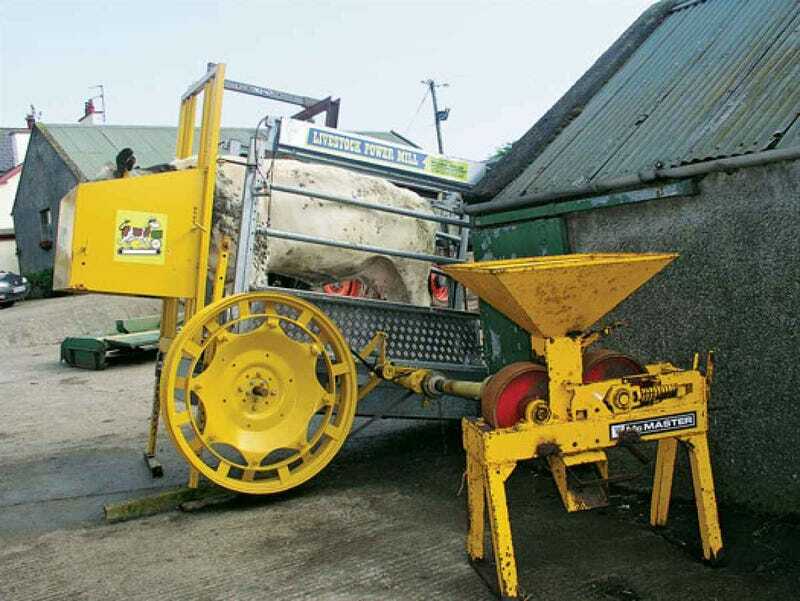 On his farm in Northern Ireland, William Taylor built the contraption above and dubbed it "the Livestock Power Mill." It's an unpowered treadmill set on a steep enough incline that the cow has to keep walking lest she be dumped out the back end of it. There is also a feed bag mounted to the uphill side for encouragement. The treadmill's action spins an axle that in turn spins a gearbox to drive a 2 kW generator. The single-cow prototype was reportedly powerful enough to run four milking machines. Were the entire 1.3 billion cattle on Earth to walk on these machines for eight hours a day, Taylor figured, they could produce six percent of the world's power.